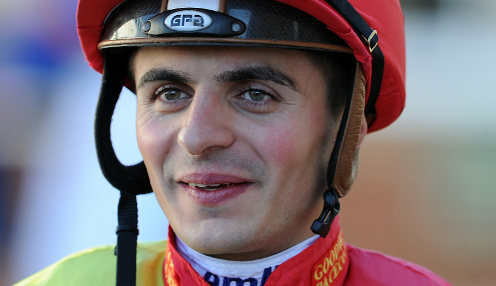 Andrea Atzeni is delighted to have picked up the ride on the Richard Hannon-trained Raymond Tusk in Saturday's St Leger at Doncaster. The Italian has earned himself a reputation as the 'King of Doncaster' following a succession of big race successes on Town Moor. Atzeni partnered the Roger Varian-trained Kingston Hill to win the St Leger in 2014 and followed up 12 months later with Simple Verse for Ralph Beckett. He also won the Racing Post Trophy four years in succession from 2013 to 2016. Raymond Tusk was a Listed winner over 1m3f at Hamilton earlier this summer while he appeared to improve again when second in the Geoffrey Freer Stakes at Newbury when tackling 1m5½f for the first time in August. That Group Three run has convinced connections to have a tilt at the St Leger, a race Raymond Tusk is 20/1 to win, and Atzeni thinks he'll be well suited to the Doncaster test. "He is 100 per cent an ideal Leger type and that is why they are running him in it. Kew Gardens looks the one to beat and Lah Ti Dar will be hard to beat if she turns up, but he has done nothing wrong all season. "He goes there with a chance. I'm lucky to get the ride on him and I'm looking forward to it. I've never ridden him before, but I've seen plenty of him. The trip will not be a problem. "He does need to relax as Doncaster is a long, galloping, fair track and it is important for horses to relax." Aidan O'Brien's Kew Gardens is 3/1 to win the St Leger on Saturday while Lah Ti Dar is 7/4 for trainer John Gosden.